McFarlane releases its Series 31 of Major League Baseball figures with an all-star line-up! The American League All-Star and stud ace of the Seattle Mariners pitching staff, Felix Hernandez. Felix Hernandez is featured here as a highly-detailed 6-inch tall action figure. 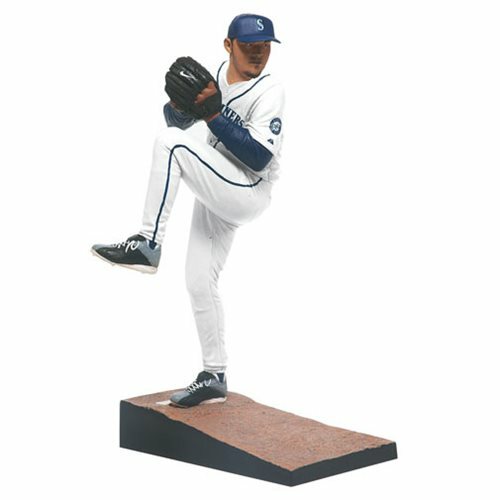 This MLB Series 31 Felix Hernandez Action Figure features the Mariner ace in the middle of his pitching delivery. Ages 5 and up.